We are very proud happy to welcome Sally to the fold. She has an enormous heart, wonderful personality and is a deeply caring soul. Anyone who is lucky enough to take the journey with her will find her an exceptional ally and very skilled navigator. Hello my name is Sally Watters and it’s a great honour to be a part of Reach. I have been involved with Reach for a number of years now both as a client and a student. I have worked in the corporate sector for 27 years, 17 years spent in management. I have undertaken various other roles and worked in several fields but all with young people, children and families facing many of their own challenges in life such as mental health issues including: anxiety, panic attacks, depression and trauma, drug and alcohol addiction, low self-esteem and confidence, disabilities, homelessness, financial issues and relationship difficulties. 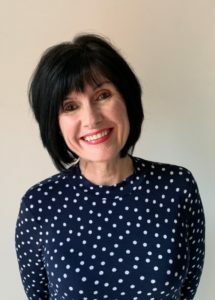 I have undertaken a broad spectrum of training over the years working with individuals and families and have an NVQ 4 in management, working with children and families and a level 4 Cohort in working with families with complex needs. Having trained with Reach, I have gained a Postgraduate Certificate in Coaching (accredited by The National Council of Psychotherapists and the Complimentary Medical Association) and as a result I am now a fully qualified life coach. My journey began when I walked through the doors of Reach during a very dark and difficult season in my life. I was experiencing anxiety, panic attacks and depression and had no idea what was causing these issues. After taking the Reach journey of self-discovery and with hindsight now, I realise there were several factors that were contributing to me feeling the way I did – two of these being a lack of self-care and my unresolved issues from the past. With practice, patience and perseverance I was able to rise above the things that had pulled me down for so long and reach a place of resilience and strength I had not experienced before. This led me to a place of self–acceptance which has since enriched my life on many levels and given me the confidence to pursue my life’s purpose and continue to fulfil my true potential. I am passionate about health and well-being and am equally passionate about the Reach model. I deeply believe it is our birthright to grow and develop into the best we can be. I am deeply committed to making a difference in other people’s lives and feel very fortunate to have found my calling as a coach. I believe the keys to personal and professional fulfilment lie in self-care and Reach’s Story of Health model is unique as it helps an individual explore the powerful connection between mind, body, spirit and environment. Developing a self–care plan around these four key areas will help improve a person’s life on every level, providing they do the work needed – which can be a challenge in itself, however as a trained coach with Reach and one who is familiar with the many challenges, I can help support you along your journey. If my story appeals to you and you think I may be able to help, then I would be happy to speak with you to discuss anything further or arrange an appointment.